This presentation is about the strength in being united to fight side by side with government administrations in cases of emergency but also to demand fair treatment and official recognition of our profession. We will present and explain Red Vértice (the Vertex Network), a grouping of associations of translators, interpreters and proofreaders present in Spain, covering about twenty entities including IAPTI. Its main aims include coordinating the activities of all the professionals, representing them to government bodies, helping to attain better working conditions and guaranteeing the quality of their work for clients and society in general. As a concrete example, the arrival of some 650 refugees on three refugee ships (one of them called Aquarius) in the port of Valencia will be discussed, which led to an extraordinary demand for professional volunteer interpreters. The steps taken by the local association, the responses given and not given by the different administrations and the action taken by both Red Vértice and local associations to raise awareness among the administrations and to be better prepared in possible future cases will be explained. 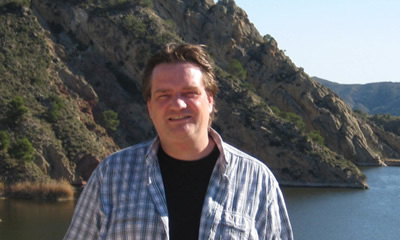 Stefan Schmidt is a freelance translator and interpreter from several languages into his native German. He is also an associate professor at the University of Valencia, has developed E-Learning German courses and is co-author of the book Spanisch für Faule, published by Langenscheidt. He is also the current president of La Xarxa, the regional translators and interpreters’ association.